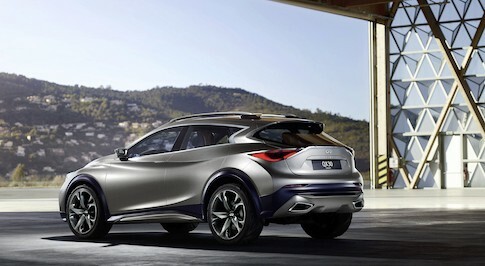 Infiniti is to reveal its QX30 in a simultaneous global debut at the 2015 Los Angeles and Guangzhou international motor shows. 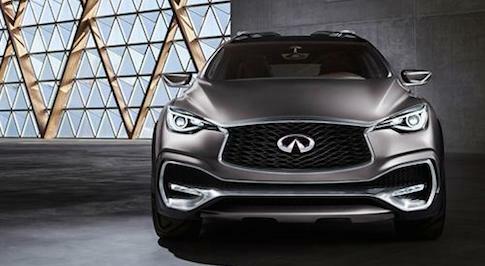 The unveil of the premium active crossover will signal the next phase of the company's global growth strategy, Infiniti claims. 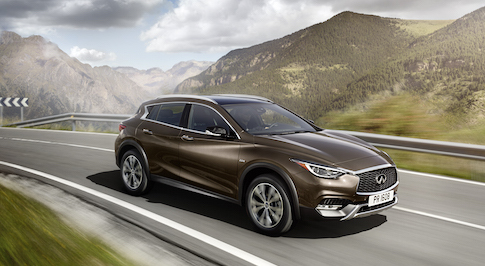 Boasting a striking asymmetric interior and highly sculpted exterior design, the all-wheel drive QX30 offers an elevated ride height and confidence-inspiring handling. Many of its features remain true to the original QX30 concept. President of Infiniti, Roland Krueger, commented: "The QX30 active crossover is joining our new premium compact family at the right time and will broaden our offer to new customers around the world. With our recent sales successes and record growth, the current product offensive will further strengthen Infiniti's global market position." The QX30 will join the Q30, which was revealed at September's Frankfurt International Motor Show, to broaden Infiniti's range of premium products. It will go on sale in selected markets from mid-2016.